So…this is about, oh, two weeks late. I just got the pics off our camera. We had our first volunteer experience with BRAT and in this case it was the "T" part. We were a link in the Basenji Underground Railroad. This mother-daughter pair ages 10 and 2 were from a group of 5 advertised as free in the paper back in Sept. "Jack" the light brindle boy on BRAT was one of them as well. On the same day the ad was posted I called and gave their owner some info about BRAT's fostering and placement process. I drove to go visit the girls in their previous home for an evaluation. 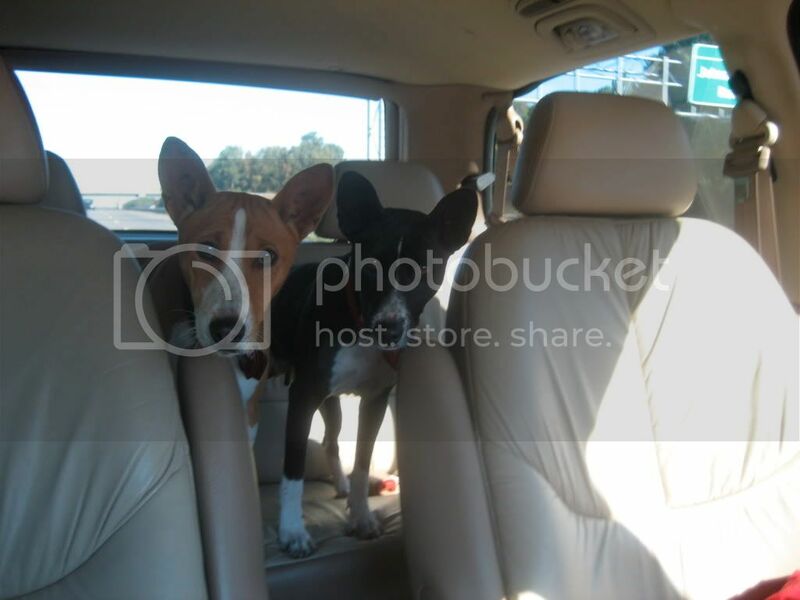 To be involved in transporting them to a basenji rescue experienced home in FL after having gotten the ball rolling on their placement was really special. I was really pleased too that Ruby seemed much friendlier on the transport day. During the evaluation she would not approach me willingly or come anywhere near me. It was a big difference. I hear they're doing really really well in their new home. Here are some pics from our journey together. It only took them an hour to settle down! The mom Scarlett is the B/W and Ruby is the R/W. Wonderful photos - and wonderful you for doing this! What sweet faces those two girls have - hope we hear more about them in their forever home. 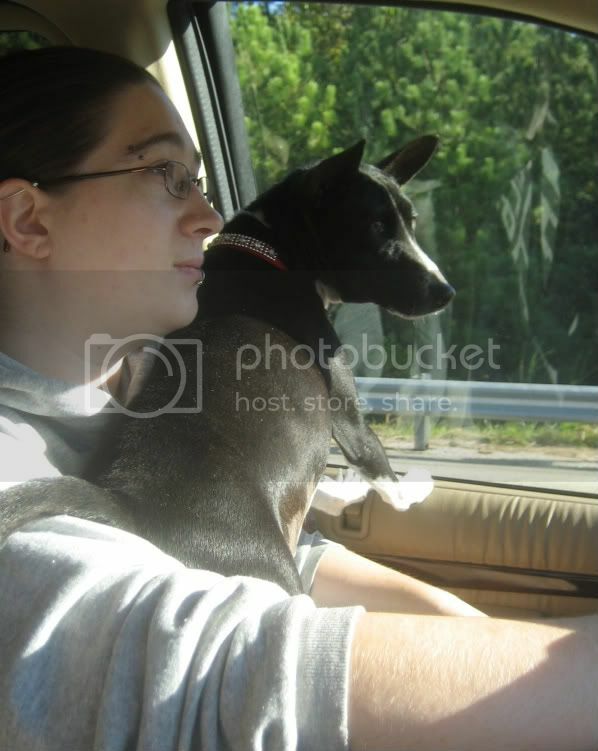 We pieced together our own little basenji railroad when we got Bongo. BRAT wasn't able to help, but Sharron posted to a BRAT list and a woman there knew another woman who got him as far as New Mexico. Then it took another 5 friends and family members to get him to San Diego. I'm eternally grateful to each one of the links in that chain. They're all bas-angels, like you! 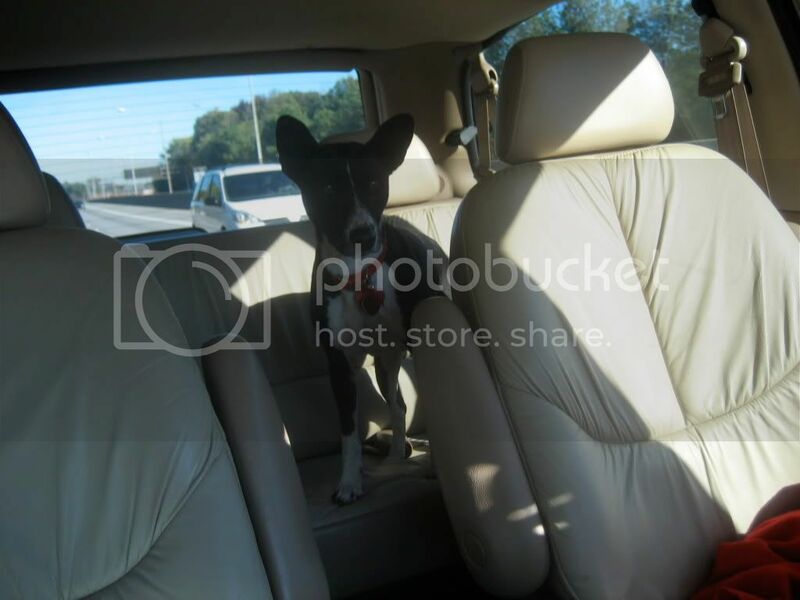 Its always a win/win, when we can get a basenji to the right home. 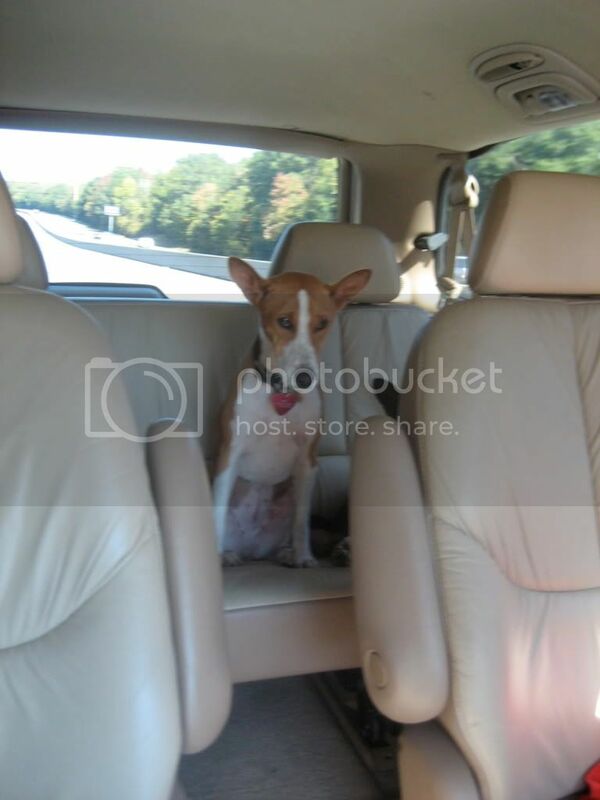 Glad your basenji found you! Thanks for the story and the transport. Where did they go from you? I soooo hope they are happily re-homed together. Great story and photos, thank you for helping dogs in need. 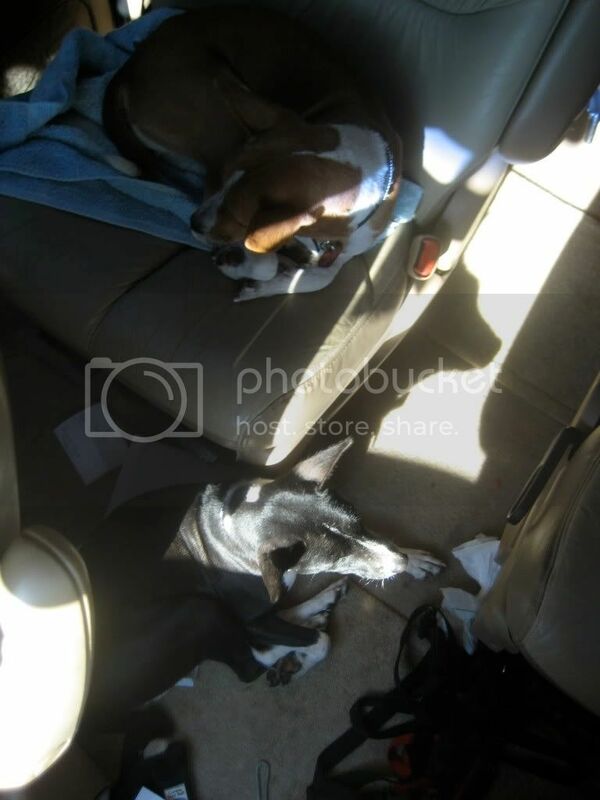 I love transporting, meeting other people willing to give a little time and gas to get dogs where they need to be. These girls are now up on the BRAT site! Check them out! What a beautiful girls! And how great that you helped with the transport! I hope they will soon find a forever home! Such beautiful girls! I hope they find their forever home, & together, very soon. And kudos to you for helping them in their transport!